Saturday, 3/16/19, the UFC octagon touched down “across the pond” in London, England for a momentous night of European-centered Mixed Martial Arts. At the very top of the card, the Welterweight division was on display with two highly anticipated matchups between four top-ranked opponents. In the main event, the brash, English powerhouse, Darren Till, took on the crafty, no-nonsense, UFC veteran, Jorge Masvidal. Going into this bout, there was a lot of respect shown between both men, due to their reputations as fearless competitors with a wealth of gamesmanship. Coming off a loss to former champion, Tyron Woodley, Till was favored in this bout due to his significant size advantage, power, and high level of hype/promotion. On the other hand, Masvidal was also coming off of a loss to Stephen Thompson, as well as a long lay-off. Nevertheless, Masvidal has long waded in the top of the talent pool due to his high level of boxing skill and experience. The fight started with an unintentional foul, as Masvidal rushed out and inadvertently side-kicked Till to the cup. After Till recovered from the low blow, he immediately backed Masvidal into a corner and floored him with a clean left cross. Till immediately stacked Masvidal and tried to establish a strong position on the mat. However, Masvidal managed to regain his feet before Till could get settled. Upon the standup, Masvidal started putting together kickboxing combinations of hooks, leg kicks, and body kicks. Till eventually caught one of Masvidal’s kicks and used the single to establish a brief takedown. Masvidal kicked Till off, regained his feet, and got back to landing kicks to the body and legs. Masvidal also started experimenting with ways to close the distance, grabbing a single at one point and landing a hook up top. At this point, Till began backing Masvidal into the fence once more to land straight punches to the head, a hook to the body, and a body kick. In order to back the bloodthirsty Englishman off, Masvidal began blitzing in with hook combinations to counter. Nevertheless, Till came right back to force the clinch against the fence. Upon his exit, he landed a big left hook to the chin and an uppercut to the body. Shortly before the bell sounded, Masvidal landed one more body kick. In the second round of the bout, Masvidal came out elusive, continuing to land the leg kick. Shortly afterwards, Masvidal blitzed in, landed a takedown, got off a few punches then tried to secure the back. However, Till managed to stand up using the fence. Masvidal held Till against the fence shortly before the men split. Masvidal continued to blitz in on Till, landing hard combinations of straight right hands and lead hooks. Till managed to counter a couple times with a rear hook and a jab. 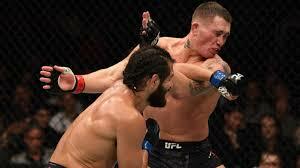 Nevertheless, Masvidal continued to find success with body kicks, leg kicks, and the cross-hook combo. Despite taking numerous shots, Till continued to press forward with reckless abandon. Till’s lack of caution would become his downfall when Masvidal blitzed in with a huge, switch hook that put Till’s lights out. Masvidal landed a few more grazing hooks during Till’s descent. When Till’s stiff body finally hit the canvas, he would lay unconscious for an extended period of time. The English crowd fell silent as the pride of their nation crashed to the canvas in defeat. Nevertheless, Masvidal embraced the English crowd and paid homage to his fallen opponent. Masvidal also went on to call for a title shot in light of his explosive finish over a man who just challenged Woodley for the belt in his last fight. 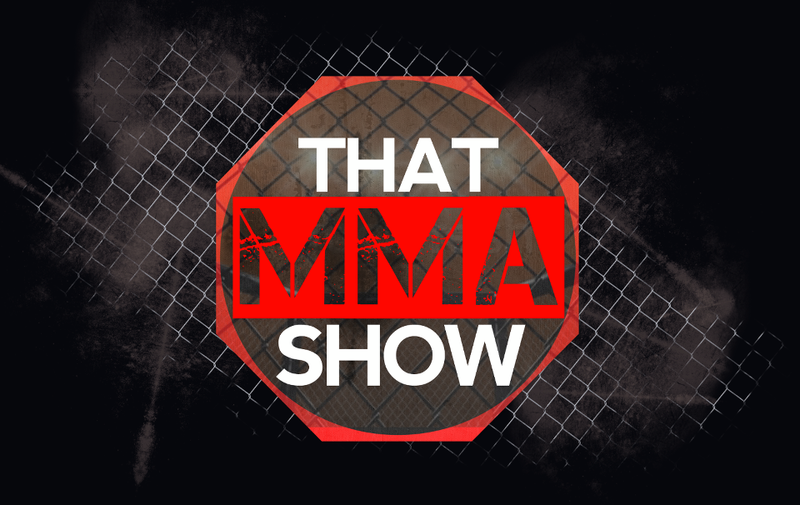 Whether or not Masvidal will get the title shot is another subject. The recently crowned champion, Kamaru Usman, seems to have all his focus on Colby Covington for his first defense. Furthermore, a post-fight scuffle between Masvidal and Leon Edwards just might have set a different matchup in motion. In the co-main event of the night, the aforementioned Leon Edwards took on Gunnar Nelson in another matchup that would shake up the Welterweight division. In the first round of this fight, Gunnar Nelson came out, threw a leg kick, and then initiated the clinch, where he began working the body with hooks. Shortly thereafter, Nelson worked into a body lock for a big takedown. Edwards was able to kick Nelson off initially, but Nelson took Edwards right back down in a scramble on the feet. Edwards was determined to stay on his feet, as he used the cage to get up once more, and land a big takedown of his own. Once Edwards secured a hook from back position, he began peppering Nelson with shots. Edwards maintained this dominant position for a good period of time before Nelson eventually escaped a few seconds before the bell. The second round mainly consisted of Nelson pushing into the clinch, and trying to back Edwards into the fence. However, Edwards would counter by landing knees on the inside, and reversing position. Toward the end of the round, Edwards cracked Nelson with a huge elbow, sending him to the mat. Edwards followed Nelson to the mat and unleashed a furious barrage of ground and pound that nearly stopped the bout before the bell sounded. In the final round of the bout, Nelson was determined to chase the takedown as he shot for several deep double legs that were stuffed by Edwards. After stuffing three attempts and reversing the clinch, Edwards got a brief takedown of his own, and continued to pressure Nelson against the fence. In the last minute of the round, Nelson was finally able to land a strong takedown and immediately establish full mount. However, Nelson failed to get off any real offense before the bell sounded. When the official decision was handed down, Leon Edwards was declared the victor via split decision. This victory distinguished Edwards as the welterweight division’s second longest winning streak holder with seven straight victories. Immediately after his victory, Edwards called out the winner of the main event. Later on backstage, Edwards called out main event winner, Jorge Masvidal, during his Masvidal’s interview. Masvidal responded, “Say it to my face”, and continued to walk out of the interview to meet Edwards face-to-face. As soon as the men got close to one another, Masvidal unloaded a 3-punch combo on Edwards, leaving a cut under his eye before the men were separated.